Well known for his restless curiosity and collegiality, Professor Stathopoulos’ record is one of both exceptional research accomplishment and outstanding teaching. His research focuses on three areas that include numerical analysis, high performance computing, and mathematical tools that enable challenging scientific and engineering applications. 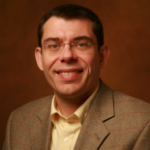 Stathopoulos uses his research to integrate theory and practice, often from a variety of disciplines. He has participated in projects bringing significant federal grant awards to the College. As a teacher, he is a vital contributor to both the undergraduate and graduate programs and teaches a wide range of courses, including three of the eight required courses for the department. In addition to his interdisciplinary research, he is also a recognized research leader on eigenvalue problems, one of the mainstay problems in numerical analysis. His work on these problems has resulted in PRIMME (Preconditional Iterative MultiMethod Eigensolver), an open source software package that Stathopoulos developed with his doctoral student, Jim McCombs. Since 2006, it has been the most efficient and robust software for solving large, symmetric eigenvalue problems. He spent 2010–2011 in residence at IBM Research in Zurich, Switzerland, pursuing research that combines deterministic methods from numerical linear algebra with statistical methods. Stathopoulos holds a doctorate in computer science from Vanderbilt University.